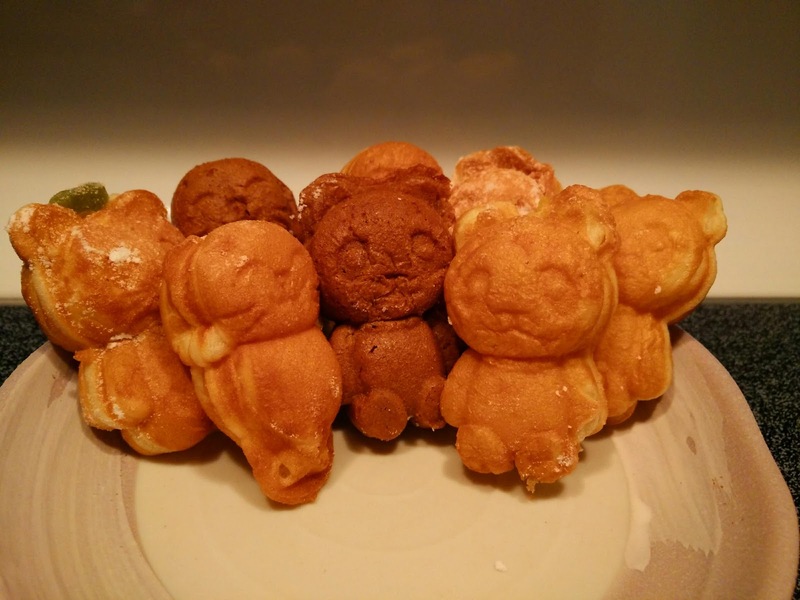 Little tiny waffle bears with different fillings. Custard, chocolate, strawberry.... Only the mochi bear wasn't filled but dusted with powdered sugar. 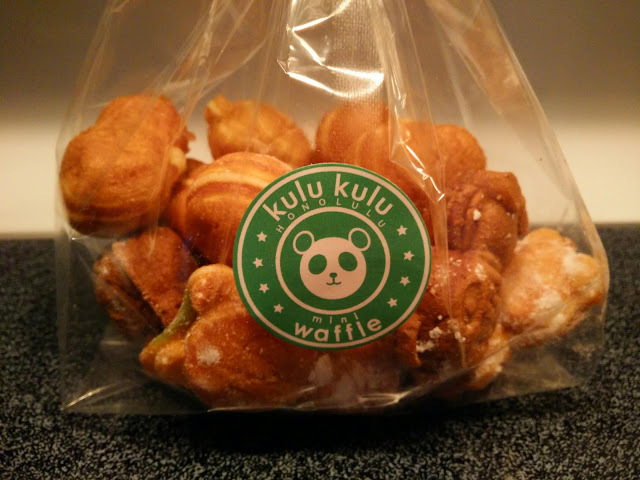 That was the driest bear out of the bunch.